By Dr John Briffa on 9 May 2014 in Diabetes/Metabolic Syndrome, Food and Medical Politics, Healthy Eating, Unhealthy Eating! Diabetes UK bases its claims on a report it commissioned, which I have not read, but have no reason to doubt either. However, when I hear anyone talking the good management of diabetes, my mind very often goes to dietary approaches first. Diabetes is principally a condition of impaired ability to handle glucose in the bloodstream. While the body can liberate glucose into the bloodstream (particularly from the liver), much of the sugar in the bloodstream tends to find its way there from the food we eat. Sugar is an obvious source, but another major potential provider of glucose is starch (because starch is basically made up of chains of glucose molecules). I can categorically state here that when individuals with diabetes cut back on carbohydrates, they almost always see significant improvement in their blood sugar control. They usually lose weight, and see improvements in markers of disease too. I’m most certainly not the only person to have noticed this. Just yesterday I met a most wonderful general practitioner who has come to the low-carb approach quite late in his career, but has used it to utterly transform the health of his patients. He showed me a variety of graphs from several patients pre- and post-adoption of a lower carbohydrate diet. He relayed a few stunning anecdotes too of people who believe eating a lower-carb diet has given them their health and their lives back. None of what he told me surprised me, but it did not fail to warm my heart, either. Beyond me and my GP friend, though, we have the collective experience of literally thousands of individuals with diabetes who have often seen comprehensive improvement in their condition and general health by scaling back the carbohydrate. Many type 2 diabetics them have been able to scale back their medication too, or even dispense with it entirely. Type 1 diabetics will very often report the need for much less insulin. The generally better blood sugar control these people enjoy will, by rights, lead them to suffer less in the way of diabetic complications. In its statement this week, Diabetes UK highlighted the foot-related complications that diabetics can suffer, one potential end-result of which isamputation. Yes, that’s right, according to Diabetics UK, a third of a diabetic’s diet should be made up of foods that are essentially concentrated glucose (many of which, by the way, are known to be highly disruptive to blood sugar). Note that the charity recommends diabetics eat up to fourteen portions of starchy foods each day. I won’t mince my words and state here that I believe these recommendations are utterly mad. My experience tells me they will generally just entrench diabetics in their condition and the need for medical care. Compared to a lower-carbohydrate diet, the regime advocated by Diabetes UK stands to worsen blood sugar control and increase the need for medication and risk of complications. If Diabetes UK is serious about helping diabetics, I suggest it starts by ceasing to recommend a diet that, in my view, is utterly unsuitable for diabetics. Should statin ‘key opinion leaders’ be allowed to just make stuff up? * For Americans 80, 540, 28, 500, 45, 215 etc..
A low carb approach (all over the web like a rash, I wonder why) stabilised and sorted my A1c, weight, and blood sugars so quickly.. I asked very sweetly if the local branch was “trying to keep itself in work” and got thrown out.. My doctor suggested I was no longer diabetic.. I offered to eat a bun and sit in the waiting room testing every 15 minutes.. So, it’s like Weightwatchers. If it worked really well (or at all, in the long run) it would do itself out of a job sooo quickly..
And the list of sponsors..? A great example of patients taking their health into their own hands, disregarding the accepted advice that doesn’t work and starting to think for themselves. Well done Helen! They need to keep Big Pharma in business. I agree. I was at the British Dietetic Association (BDA) Live conference last year, when I listened to a presentation on the use of Low Carb Diets in Diabetes. I was excited to think, the advice might finally change. The presentation was on four low carb diets. The presenter explained that all four diets reduced blood sugar in diabetics in a short time frame. Yay!! Only no…. the next line was but we can draw no conclusions from this because the four low carb diets weren’t the same! One was modified mediterranean, one was Atkins (Can’t remember the detail but similar). So they were no closer to the truth! I honestly thought the presenter was being facetious! Ahh, yes, the usual semantics. Diabetes (and the NHS) refer to carbohydrates as providing ‘fuel’ and that we need lots of it, but denigrate fat as having ‘calories’ which we should cut back on. It’s a losing battle. The present ‘official’ attitudes to fat and carbohydrates are as entrenched as religious beliefs. You would never persuade a devout Christian to dump his or her beliefs. So what chance we can persuade the unconvinced to dump ideas, entrenched in their minds from childhood? How do these people sleep at night? They are making people sick and sending them to an early grave to keep their pockets lines and their shareholders happy. No morals. It’s shocking. ‘ It’s shocking.’ Sadly, it isn’t anymore. I aliken diabetes drug treatments to a builder using scaffolding to old up a collapsing building instead of rebuilding it properly; a short cut that will fail in the end. Not surprisingly the sponsors page ‘does not exist’ or has been moved. What could they possibly have to hide, hmmmm? Diabetes UK is in my opinion the greatest health hazard to diabetics. The diet they promote for diabetics, almost guarantees a progression of ever increasing medication, and for so many, a shortened life and grim complications. In short, DUK do infinitely more harm than good. So, one expert for stopping the promotion of carbs for diabetics, and one expert promoting carbs for diabetics. The diet I call the diet of slow death. Well, DUK give a breakdown of the main points discussed, followed by Tracy Kelly Head of Care for Diabetes UK who said. Note the words “and miss the key messages from the debate” It appears Tracy missed the main message from the debate, the fact that after the debate a vote was made, and around 70% of the voters, voted for it’s time to stop promoting carbohydrates to people with diabetes. I wonder why Tracy forgot to mention that fact, could it be because it goes against the diet of slow death DUK promotes ? Could it be a reduction in carbs for diabetics very often leads to a reduction in medication, in many type two diabetics no medication ? Could it be the DUK pay masters would reduce funding, and the likes of Tracy et al would be out of a job ? DUK The diabetes charity paymasters. I gave up on Diabetes UK years ago. I was mostly put off by their constant fundraising. Perhaps the idea I should leave them something in my will was the main problem! Just think of it, talk people into leaving them money, then kill them with the recommended diet! I’ve been drug free for over a year now and my blood tests have all come out in perfect numbers. If I do go out for a family meal and have a desert or a potato, I seem to have no bad effects. But I know if I went back to my old ways, I would be diabetic again! My doctor is pleased with my 50lb weight loss and stable blood sugars. He does still “worry” about my cholesterol level, but I’ve been able to just say no to statins! Keep up the good work Dr. Briffa and keep informing the public! … so they are effectively recommending to diabetics that they can eat up to FOURTEEN slices of bread per day! Are you kidding me? Are you having a mad sugar rush to the brain? Although this is the way that the Diabetes UK currently suggests, they are actively looking at other diets including the liquid and very low carb diets. On the recommended Xpert course that I did last year they explain that the 5-14 portions depends on what sort of life you lead. For example most normal people need to stay in the lower range, the amounts above 10 are for people who are very sporty and extremely fit like sports people. It also showed portion sizes and most people on the course were shocked at how small some portions are! I’m T2 (2years) and on metformin and I am overweight. I’m overweight not because of the DUK recommendations for carbs, but because I eat too much and don’t exercise enough. In the two years since diagnosis I have remained around about the same weight (down a stone, then put it back on because I over eat!). I keep a food diary and I know exactly what I eat. I don’t blame the Diabetes UK at all for my size, I blame myself wholeheartedly. However, my blood glucose levels, cholesterol and every other test included in the HbA1C tests are within the normal range and for me that’s brilliant. Losing the weight will help me more, and hopefully I will eventually lower or even stop my meds but I am doing something right because I do keep my carbs down to a sensible level for me (50g per meal + 65g for treats/snacks if needed). It doesn’t matter what Diabetes UK says, or anyone else says about suitable diets for diabetics, the main thing is to eat a healthy balanced diet. We can all give our own experiences and everyone’s will be different. My mum was T2 on insulin and was never on a diet, she ate what she wanted but in moderation, up to the point she got ill she was never overweight and her blood glucose levels were spot on the majority of the time because she treated her diabetes with respect. Sorry if this sounds like a rant, but I do get fed up with some websites that like to run down the work of organisations like Diabetes UK. It often only serves to frighten people who are not coping with their diabetes (or other condition) into doing something silly and that’s not helpful. I think it does matter what Diabetes UK says, as some will look to this charity for advice about what to eat. The point of the article (which you wish to re-read) is that the advice to base a third of the diet on starchy carbohydrate is, compared to a lower carbohydrate diet, likely to worsen diabetic control, increase the need for medication, and increase the risk of complications too. If these things do not matter to you, so be it. But, as you can see from the comments here, these issues do matter to many other people. “….I do get fed up with some websites that like to run down the work of organisations like Diabetes UK. It often only serves to frighten people who are not coping with their diabetes (or other condition) into doing something silly and that’s not helpful. What ‘silly’ thing do you think people are going to do in response? Cut their carbs? What’s ‘not helpful’ is telling people who don’t handle starchy carbs at all well to base a third of their diet on these very same foods. Perhaps DUK and other bodies are stuck in the rut that was treatment of type 1 diabetes. Carbohydrate exchanges were laboriously worked out, and were the bed rock of advice. The dieticians have taken this doctrine to all patients with diabetes in the mistaken belief that they are all the same. Type 2 diabetes is a completely different condition which gets worse on the carbohydrate diet. Despite all the “experts” and “advisors” you have to question where rational science has gone. But T1′s can also improve their control and reduce complications with low carb and reduce their insulin requirements. 1. The belief that fat, especially saturated fat, causes heart disease and due to being high in calories, weight gain. 2.The belief that carbohydrates are essential fuel for the body and the brain and don’t cause weight gain as they are less calories dense. 3. Food manufacturers and drug companies want this situation to continue as it is of financial benefit to them. In reality, no link between saturated fat and heart disease has ever been found. Fat is satiating and a good source of energy and is not responsible for the obesity and T2 diabetes epidemics that began when we all got told to eat less fat and more carbs. A diet high in carbs puts strain on the body, especially it’s blood glucose regulation. All carbs break down into sugar in the body and a high carb diet can cause inflammation in the body, weight gain, T2 diabetes and heart disease. There is plenty of research and information out there to back this up but until organisations such as DUK take it on board and change their advice, the majority of the public will continue to believe the damaging low fat, high carb dogma. Since DUK gets much of it’s funding from companies interested in maintaining the status quo, things are not likely to change. I am so glad that we have a passionate and respected professional like Dr Briffa making an effort to bring these issues to the attention of the public. Thank you John – we need more people like you. DUK are corrupt, and selling a diet of slow death for diabetics, full stop. They do far more harm than good FACT ! How long before a class action lawsuit ? Has it ever occurred to you that you might eat too much and not exercise because you are overweight and not the other way around? Have you even read Good Calories, Bad Calories (Gary Taubes; I believe it’s called The Diet Delusion in the UK)? So simply put, you don’t believe that carbs make the problem worse; how then can you explain so many people who improved their diabetes, or those (like me) who *completely* reversed their metabolic syndrome by dropping their carb intake (with special emphasis on removing the wheat, of course)? Not quite sure where you are coming from here? If you are fat, unless its for other medical reasons, you are fat because you eat too much. Not being able to exercise because you are fat is a myth unless you are bedridden, I can exercise, if I want to and I do some light exercise but at the end of the day the reason I am fat is because I have been putting too much food in my mouth and not moving enough! I accept that as being my responsibility, as in everything else I do. I am diabetic because I ignored the warnings my GP gave me when I was glucose intolerant for 10 years. I am now with my meds and my diet, within normal range on my HbA1C and to reduce my meds I am cutting my carbs back but not to the low, low range that some people do. I have gallstones and a hiatus hernia and have been advised to avoid high fat diets as this will cause me problems and I am keen to avoid that. People need to take responsibility for their own health and do what suits them best, low carb and wheat free is obviously your way, its not mine. As long as I lose weight in a healthy way for me then I’m happy. My diabetic nurse is happy with me as is my GP and that’s what counts. I am do for my refresher Xpert course this year and I found that extremely helpful and I am happy with the DUK, obviously some people aren’t, that doesn’t make them right and me wrong or vice versa, we just have to agree to disagree. ” you are fat because you eat too much” – alternatively you eat too much because your body isn’t oxidising fat well so you have to eat more to fuel it. If elevated insulin is storing fat all the time and inhibiting its release then that fat isn’t available as fuel, so you get hungry and eat more. The getting fat came first. That’s the hypothesis Tyrannocaster was driving at. See the video “Aetiology of Obesity” by Dr Jason Fung. How low can you hold your HbA1c Chris ? That’s why I think you haven’t read Taubes’ book; it’s more accurate to say that you eat too much because you are fat, or (better yet) you eat too much because your insulin response is out of whack (and so you get fat, especially if you eat carbs). The way you are seeing it is what leads so many people to think that it’s their fault that they are overweight, which plays into the hands of the whole diabetes machine. And no amount of exercise will make you lose weight if your insulin is messed up that badly – this too is old school, Ancel Keys thinking. Don’t want to read Taubes? 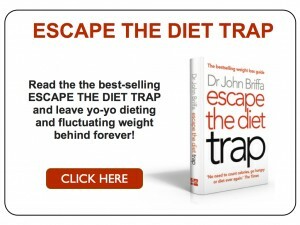 Try Dr. Briffa’s book “Escape the Diet Trap” which details much of the same information (although not nearly as deeply) but with more practical applications for daily eating. The problem is that there is so much untested (and potentially dangerous) advice out there, that nobody is accountable for. So people look to institutions such as this as someone they can trust. But on this basis, where Diabetes UK push complex carbs rather than, for example, more green veg, that trust is badly misplaced. My missus has been T2 for 6 years. She does no exercise, but has perfect control on just 2 Metformin per day. Princess Alexandra Hospital in Harlow even presented her to staff as a case study on perfect control during pregnancy. The big secret… we cut her carbs down to less than 150g per day (particularly wheat based) and upped the amount of veg such as broccoli. But as you say “the main thing is to eat a healthy balanced diet…””. So for the benefit of the multitude who don’t know what to believe any more, perhaps you could point us all to where the definitive guide to a healthy balanced diet is officially recorded? To clarify, the wife’s daily carb intake comes from typically, 40g porridge oats, 70g blueberries, 200ml full fat milk, 35g rice (uncooked weight), 2 slices of oat bread. The rest comes from nuts and veg. Can you share her fasting / post meal BG levels and HbA1c to show what “good control” looks like ? @Chris, “…the main thing is to eat a healthy balanced diet…” That’s like telling someone with a peanut allergy to eat peanuts as part of a healthy balanced diet. As Dr. Briffa pointed out, diabetics by definition cannot handle carbhydrates, so why eat them? Do you realize that you could reduce or eliminate your need for metformin (and possibly lose weight) by restricting carbohydrates to mostly non starchy vegetables? I too have been astonished at the persistence with which Diabetes UK pushes a carb-rich diet in its magazine “Balance” and on its website. I have resigned my membership of Diabetes UK as a result. Is it possible to quantify the monetary costs of persisting with this sham treatment of diabetes. It is very unlikely that the human costs would move the Secretary of State for health to reconsider any direction given to the medical establishment, but surely he isn’t so much in hock to the lobby that the potential savings to the public purse, and the potential for his career advancement, wouldn’t pursuade him to force change. The wording of the advice from Diabetes UK resonates like a story which has passed into folklore. I mean to say, how could Goldilocks and the Three Bears eat anything other than porridge? And Snow White has to eat the (poisoned) apple. And if stories were changed, what would happen to the poor Gingerbread Boy? It seems that Diabetes UK must cling on at all costs to the time-honoured story. What a lovely bit of sideways thinking! It cetainly made me stop and think! I’m with the others on this forum who have questioned the high carb approach of the medical establishment. I was only diagnosed three years ago (had the condition for longer though) and all that was happening was that my weight was slowly increasing and my oral medication was increasing too – up to the maximum. My sugar control was not brilliant. It was okay but not brilliant. Since reading the work of Dr. Briffa (“Escape The Diet Trap” in our case) and many others who have published on this subject, my partner and I have changed our eating habits dramatically. I have lost a little weight (still some to go but nothing too scary) and seen an improvement in my sugars, although they are still a little high.They are no higher than before – and I have reduced my medication to “as and when” rather than “three times a day”. As someone who is going to be stabbed in the eye next week to treat leakage, I can see (sic) that I would have been one of those “with complications” diabetics had I meekly done as I was told. It’s your health; your life; you and your loved ones who have to live with the consequences. The medical profession march to the beat of a different drum and, however nice they may be when you meet them, in their minds you are essentially “Next!” and not a real person who might have medical experiences from which they can learn and share their newly acquired knowledge. You do not have to accept the generalist, uninformed “advice” of a medical professional which is more concerned with surgery throughput and funding than it is with your well-being. Educate yourself here and elsewhere on the internet. Take control and live a better, healthier, longer life than you otherwise would so. A thought of my own: the internet effectively forms the largest, longest-lasting and widest-ranging clinical study the world has ever seen. Even better, the patient participants have no commercial motive to distort their reporting and every incentive to share what they have learned with each other – as they do each and every single day.Can the drugs companies say the same? As your own patient, your “doctor’s apppointment” will last for the rest of your life. That surely has to be better than ten minutes every three or four months with someone who is already filling in the funding forms as you walk through the door. I totally agree with all the dietary arguments here but I have one or two thoughts that niggle away in the back of my brain too. I wonder what percentage of Type 2 patients simply accept the medication they are given and make no attempt to alter lifestyle choices (irrespective of the kind of dietary advice they are given) in the belief that the pills will sort it. Second, in this age of over-medicalisation, are we going to see increasing numbers of patients ‘diagnosed’ as pre-diabetic and all put on ‘preventative’ medication as soon as possible. To my mind, neither is acceptable. For most of us diabetics and pre-diabetics the life style changes one needs to do are extremely difficult especially when it comes to diet. Imagine all the competing information out there on what is or not a healthy diet. Imagine too that going into the supermarket for a snack and realizing there is not much you can buy that fits the dietary requirements to maintain low blood glucose levels. The same goes for most teas and dinners out, you basically have to eat salads for every meal. The other big issue especially for pre-diabetics they are not reimbursed for their blood glucose testing meters strips and lancets and with out the constant testing it is impossible to determine what foods negatively impact your blood sugar levels. Remember that for most of humanity the human condition has been searching to get enough to eat and that drive still affects most of us. You are right life style changes are an important part of the problem, but so is he medicine the key point is lowering the blood glucose level as quickly as possible, and many times it is medicine that can do that quickly; as we all know radical life style changes especially concerning food and diet are difficult and take time and support. It really is not over-medicalisation but over pharmaceuticalisation (I am sure that ought to be a word.) The physiology of over-appetite with relative tiredness is very much a medical matter which has significant implications for public health. Research is not funded in this area and over-Psychologising has been extremely lucrative as it provides more malleable explanations which are ultimately useless. Everyone has a Psychological frame of reference and the exclusively Psycho-Sociological perspective, therefor, offers something for everyone. Pharmaceutical companies , whose funding dominates research, have legal obligations to their share-holders. The one thing they must never do is risk the prevention of lucrative diseases. This means that they must never allow a ‘body’ of research (eg 11betaHSD / “stress-related hormones”etc etc) to stray towards, for example, understanding appetite for Carbohydrates. Diabetes treatment=lucrative, Diabetes prevention=catastrophic. NHS consultants can find their career path greatly enhanced by working ‘well’ with these companies and can gain power in their field such that they can dictate the direction of their subject for decades. You had insulin resistance to start with as a T2 diabetic ? or you were Type 1 ? The organs are not mechanical devices doing “work” with bearings to wear out and as I recall the pancreas has more “work” to do pumping out insulin to counter a high carb diet. Published science shows T2 diabetics going better on all fronts with a 20% carb diet (Swedish study, long term follow up) rather than the 55% of DBUK. You don’t have to go ketogenic to reduce the amount of antagonist carbs in your diet. It’s interesting to note that the BDA pulled their advice to diabetics over 2 years ago and still haven’t updated it. Can you explian why those organs have more to do eating fat and protein than they do when eating a high carb diet? The concerns you mention i’d think wouldn’t compare to the damage caused to all the major organs that consistent high blood glucose causes. We after all referring here to Diabetics who have diabetes for the rest of their lives versus none diabetics who embark upon v low carb (and i assume a high fat, high protein diets) for short period of time. I do find that eating a substantial amount of dairy fat (gorgoing on chees, yoghurt) causes insulin resistance 4 hours later but as type 1 who moved to a lower carb diet from the DUK advised diet there is no contest. If you arent a diabetic then then you wont know what it feels like to have blood sugar higher than 12mmol for hours upon end. For me it’s not just physcial it’s mental, diabetics can become very agrressive over the slightest thing which is caused by diest such as DUK prescribed diet causing post prandial high blood sugar. This means that for hours after each meal you can be angry and that agressiveness which affects not only you but those around you as well as. It’s emotionally draining. Once i switched to lower carb i couldnt beleive how relaxed I actually was as a person. Your body’s reaction is entirely normal, not necessarily in everyone but what’s the big deal? After a few days of eating carbs your body would have adjusted back. I would also hazard a guess that your HbA1c measure would have been very healthy during your physiological insulin resistance. And to say that your, “liver, pancreas and gall bladder and kidney have FAR more work to do” is a bit disingenuous. They’re doing what they’re designed to do. It’s a bit like saying that since I started putting diesel into my diesel engined car instead of petrol, the engine has far more work to do since I no longer have to push the car around anymore – the engine does! The engine is doing what it is designed to do running on the fuel it was designed to run on. I can only add my agreement to all of this having struggled as a Late onset T1 on tablets and finding that carb reduction was the only viable way forward until I went on insulin and even now I keep the carbs low to avoid weight gain. I remain a member of DUK to see what they put in each copy of Balance. I refuse all their fund-raising and may resign to avoid helping the dangerous advice given. It’s a reminder that we live in a capitalist world and despite all the good side there will always be bad influences behind the scenes. Keep up the good work. My experience of hospital food was the same’ with macoronni cheese, shepherd’s pie or a salad (rock hard tom, iceberg and a bit of cucumber) for lunch. I completed the food satisfaction survey with the addendum that it was statistically self serving as on the scale of 1-4 there were three options for acceptable or above (does anyone really think it’s excellent?). I believe that the food budget for hospital patients is substantially less than that for prisoners. My Type II (eight years post diagnosis) British husband has never managed his blood sugar very well in the UK. For twenty-five years pre-diagnosis, he was a vegetarian who claimed, when we met in 2002, that he got all the protein he needed from potatoes. Oh, and the Heinz baked beans which he generously slathered over them. He was consistently prescribed increasing amounts of metformin, glycliside (sp?) etc and told to follow the Diabetes UK diet, more or less. That didn’t work for me at all; while I have no history of diabetes personally or in my family, I have always been overweight and knew that I needed fairly high protein and fairly low carbohydrates, with nice health fats, to feel satisfied and halfway manage my weight. We moved to Malaysia a little over three years ago and, owing to the amazing food here, and volumes of rice and noodles served with everything (Malaysian, Chinese, Indian, Thai, etc). Needless to say, we both put on weight and his blood sugar got more and more out of control until his local (Chinese) physician told him he was heading toward insulin if he didn’t do something. Last September, he went on a business trip for three weeks and I went on a very low carb diet — basically Atkins, but not really in the “induction” phase for long. When he returned, though he thought he would die of deprivation because I had removed all the offending products, we both went “low carb” and stopped eating potatoes, rice, bread, noodles etc. Every time he has had his three-month ‘average’ blood test, his blood sugar and blood pressure has been lower. And lower. And lower. He’s gone from “out of control” to “good control” and now says “I can eat this way the rest of my life” (because we do enjoy a lot of the low carb indulgences so that giving up potatoes means we have low-carb, sugar free cheesecake for pudding instead, for instance). Over time, we’ve increased the carbs (added more vegetables and berries, mostly) and his blood sugar keeps coming down. We are now in the process of relocating to Sweden and are incredibly impressed with the health and dietary possibilities there — in a society that seems to have a lot of this already figured out. I’m originally American, resident in the UK since 1999. The US dietary system is just as flawed and horrid as the UK’s, if not worse. Thank you, Dr Briffa, for continuing to get the word out. 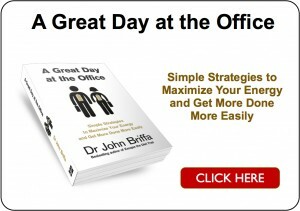 I agree with you, Dr. Briffa. My patients have better glucose control if they reduce their daily digestible carbohydrates to 30 to 100 grams. There are a few type 2s that can handle over 100 grams without increasing their meds. If I had diabetes, I’d shoot initially for 30 grams/day, but that’s not sustainable for many folks. If any other PWDs (persons with diabetes) comment hereafter on their success (or failure) with low-carb eating, I’m curious to know what their maximum carb intake is. I’m a person with diabetes and my carb intake is about what you wrote 24 to 90 grams a day. But, more important for me and many other diabetics certain carbs affect each individual differently in the spiking of their BG and I’ve seen it change over a period of time. That is why the most successful in keeping their BG levels low are always testing and then eliminating foods that spike your blood sugar. Often time it doesn’t make sense and what works for one person doesn’t work for the other. I often think that perhaps certain foods stimulate the beta cells to produce more insulin and other foods don’t. And since each diabetic has a different levels of natural insulin production and different amount of dead, dying, dormant, and you name it beta cells and insulin resistance, you get a dizzyingly amount if conflicted data. Except that high carb diets have been shown to reverse diabetes if they’re nutrient rich and if fats are kept low. 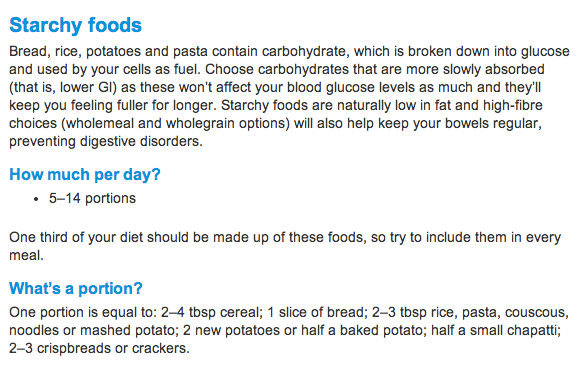 Perhaps Diabetes UK is recommending too low of a starch intake and they should up it to two thirds or more. Perhaps you could have mentioned that the link is to a video by Dr Neil Barnard, one of a group of US physicians who claim to be able to cure diabetes by eating “plants”, their word, not mine, instead of the more usual “vegan diet”. I don’t know whether they are just scared of the word “vegan” but when a number of people all start using the same unusual terms there is a good chance that some kind of cult or religion is involved. Starting working life as a psychiatrist he now claims to research human diet whilst maintaining an interest in abolishing research on animals. Without wishing to denigrate a concern for animal welfare, might there not be a conflict of interests, a tendency towards confirmation bias? Interesting to notice how many of his cohort grew up on farms, perhaps they were traumatised? What a joke. My child is type 1 on a low carb diet with amazing results. I have been helping other diabetics get their blood glucose levels normalized because I can’t stand by and watch diabetics die when the answer is so simple, and nobody in mainstream healthcare is going to help them with their bizairre advice. Who is your wonderful friend!? Does he have a website I can peruse? I am just speechless with rage at the stupidity of recommending a carb-rich diet to diabetics thus ensuring their failure to deal with this condition. Mine is completely controlled by strict low carb – I have totally normal blood sugar without any medications whatsoever. The diabetes ‘epidemic’ is hugely controllable but I lose the will to live when I see the ignorant advice of doctors and dieticians who really should be far better informed. Thank God for fantastic people like Dr Briffa and for the excellent diabetes forums available, from which I learned all I needed to to put me on the right path. p.s. my doctor confirms that my type 2 diabetes is ‘in remission’. Another subject. I am not in remission, I am simply highly controlled. The minute I think it is ok to eat cakes, bread and chips, I would become really in trouble! I read Yudkin in the 70s, Barry Groves in the 80s and many other proponents of the low carb “paleo” way of eating. I’m not diabetic but know lots of people who are. Having no medical qualifications, I hesitate to offer advice to them, but do suggest they read some of the material, including Dr Briffa. I’ve also never given anything to any diabetic charity as I believe them to be self seeking. My theory is quite simple and somewhat contentious. As a charity, is it in their long- term financial interest to give the correct dietary advice to their members, especially when some of their main sponsors are well-known pharmaceutical companies? If, nationally, the NHS prescribed the low carb diet to its Type 2 diabetic patients wouldn’t we see a drastic reduction I’m the need for insulin? Not good news for a charity or the shareholders of big Pharma. As I was leaving hospital a nutritionist visited me for 1/2 hour and explained I should eat the healthy plate which including vegetables made up close to 50% carbohydrates. I didn’t follow that advice and ate for 3-months a consistent carbohydrate diet of 2 servings per meal not including vegetables. I was on a mix of insulin that totaled over 40units per day. I started reading everything I could and stumbled across Dr. Bernstein’s and Jenny Ruhl’s books about low carbohydrate and high fat diets. I threw them down as pure rubbish thinking that no one could live happily with that way of eating. During that period, one of my nutritional goals was to eat about 50g of fiber a day. I also was testing my BG about 6 times a day and quickly saw that grains, brown rice, whole wheat breads, and legumes shot my blood sugar extremely high. In order to get the 50g of fiber without taking supplements I had to eat large amounts of seeds, and leafy stalky vegetables and nuts. In time I realized that I was actually following Dr. Bernstein’s diet without the dairy and animal fats. My diet consists of lots and lots of low density vegtables, no oils, olives, no sweet fruits except for cucumbers, egg plant avacados and a few berries. I eat fish and a little cream, but no processed foods – I consider bread, pasta and healthy muffins processed foods. I eat all kinds of nuts and seeds lots of edamame hummus and soy beans and virtually no grains or legumes – besides peanut butter. To make a long journey short my last two A1Cs were 4.9 and I take between 2 and 6 units of insulin a day. I’ve lost weight and vigorous daily exercise has plaid a part too. The A1C numbers are based upon both low fasting numbers and a minimum of post meal BG spikes. I can honestly say I feel so much better than I have in years and some of the neuropathies such as the burning in my toes and bottom of my feet are 90% gone. My vision has come back too, but most amazing is that my readers went from 2.50 to 1.25. Diabetes is a complex disease, and everyone is different in the amount of insulin resistance the number of dead or dying beta cells and plain worn out beta cells to name just one system affected by the disease. The bottom line is that I have good blood sugar control, I’m reversing the damage of some of the neuropathies and I look and feel healthy with tons of energy. Even if this very low carbohydrate diet didn’t prolong my life, I would much rather die feeling healthy, fit and happy than the way I felt on a high carbo diet. Lastly for the first time in my life I feel like I am in more control of my eating and it is not controlling me and that obtaining the low end of a normal BMI is obtainable for me. I’m not going to say it has been easy to make this change, but the benefits have been worth it and I feel it is a life style I can maintain most of my life. Congrats, runner2009, sounds like you have made a lot of progress! Way to go! Amazing turnaround in your life! You, or more likely someone not familiar with the HbAlc test, may find this interesting. Bear in mind that, as far as I know, this is one man’s opinion, but it’s a starting point. <a href="http://chriskresser.com/why-hemoglobin-a1c-is-not-a-reliable-marker&quot;. Don’t be silly, Ade. Our liver makes glucose out of protein for a reason. Further, our ancestors ate significant amounts of starch in almost all climes and even those rare northern populations ate quite a bit in the summer and even in winter through marine animal blubber, fresh meat glycogen, etc. Hopefully Mark Sisson has evolved since then and realises extended VLC diets, as most people implement them, are dangerous because they damage the human microbiome as well as lead to unnecessary elevated fasting glucose and insulin. We evolved with at least occasional dietary glucose spikes to prevent all this, not to mention prebiotic intake. Obviously Christoph Dollis is a mole from a drug company/DUK/Heart Foundation. There is always one who turns up and advises rubbish supporting the moronic advice given by the so-called experts. As a GP, I always recommend a low carb, high fat diet to my patients, not just diabetics, and those who stick to it have much improved diabetic parameters, much better lipid profiles, and surprisingly complete bewilderment from the endocrinologist/diabetic experts. After many years of just toeing the party line and telling my patients the current medical paradigm, I saw the light, and just hope I live long enough to see someone take out a class action against organisations like DUK. Obviously, john barr (if you can’t be bothered to take the time to capitalise your own name, I won’t), you’re an intellectually-vacuous hack and someone very comfortable with engaging in baseless ad-hominem attacks. I have in fact cited various “Paleo” sources—the same ones Diane Smith cites—to show that her blanket dismissal of carbs is off base. The more rice cultures eat, the less diabetes. Sorry. Facts are tough. Most human cultures, including the Inuit, were not in ketosis. Sorry. Facts are tough, john. This is how humans ate. I know. I lived off the land as a teenager. I became quite lean that way, eating starches and all. Pre-living off the land on the SAD, I was very fat. Post-living off the land, I looked like this: me on the day I returned from living off the land, including eating tons of plants such as greens, starches, cambium (tree starch), tubers, rhizomes, etc. … and animals, fish, even insects and mollusks. This was in a temperate clime. You can safely assume our ancestors ate even higher carb diets nearer the equator. I am actually a long-time, if intermittent, commenter on this blog, and former believer in the low-carb theory. I’m still not sure it’s entirely wrong, but I think it’s at least problematic as almost everyone implements it, particularly because of the damage it does to our microbiome … which absolutely makes a difference in the types of food we can safely digest. Resistant starch lowers fasting blood sugar, for example, for most people including yours truly. If you think our ancestors were eating glycogen-depleted meats and greens and little else, frankly you are ignorant, sir. I was in the past too. That isn’t a crime. But I invite you to learn. Possibly sustained very-low-carb diets are helpful for diabetics, but I doubt they are ideal. My guess is low-ish carb is better, with about enough carbs so that our livers don’t have to make much is better. For those who do better on VLC, I would strongly suspect they’d benefit from supplementing resistant starch and other mostly plant-based prebiotics … as well as engaging in occasional high-glycemic load meals to avoid down-regulating their insulin and leptin sensitivity. But if you prefer to have your hammer and look at the entire world like a nail, that is your privilege, Mr. “gp”—although I don’t think that’s very scientific of you. Sounds a little dogmatic, actually. But guess what? High-starch-eating, low-fat cultures … many of them … existed without diseases of civilisation. Sorry. Facts are tough. Now, snark—caused by your off-point snark—aside, I have no doubt that you mean to do right by your patients and I am sure that low-carb diets are not the worst diet a type-2 diabetic can be on. However, just as doctors jumping on the “fat is bad” bandwagon was a gross error, I don’t believe jumping on the opposite bandwagon is optimal. In case you missed them, please also check out the links in my other comments on this thread. Taken together, I trust you’ll acknowledge, at a minimum, that all people, especially people on a VLC diet, should care to provide crucial nutrition to their gut microbiome to ensure proper digestion ability, less insulin resistance, and gut-lining integrity (thus reducing systemic inflammation, particularly when combined with more beneficial species such as Bifidobacteria crowding out more dangerous, pro-inflammatory species such as various gram-negative bacteria). I leave you with this episode of Jimmy Moore’s Livin’ La Vida Low-Carb Show. I think potatoes are probably not harmful to those whose metabolisms haven’t been damaged by a huge amount of fructose and other refined sugars, beginning in many cases prenatally. Paul [Jaminet] and Heretic [another physicist who, while not a GP is, no offence intended, a profession attracting at least as smart people as does the medical profession], I do have a question though: Don’t you think it’s likely that many people whose metabolisms have been so damaged will not be able to tolerate much carbohydrate, including potatoes? My theory (opinion) about it is that the lack of carbs was not a direct cause of it, but an inability of my liver to quickly produce the required glucose out of protein (dysfunctional de novo glucogenesis). Resulting hypoglycemia triggered adrenal hormones and adrenal hormone burst may have triggered in turn the thyroid hormones overproduction which led to tachycardia. I believe it was specific to me not a general property of the zero carbohydrate diet. Also, an addition of even a small amount (20g or 5% of total cal.) has completely prevented any further reoccurence of this problem. Thus I am not sure if your statement of 30% carbs being the optimal level can be fully supported, it may depend on the particular case – age, physical activity, metabolic status etc. It is an interesting general question, if an optimum diet can indeed be expressed in terms of protein, carbs and fat? Dr. Kwasniewski theory (see book “Homo Optimus”) postulates that it can be. I think so too but I also suspect that there exist two optima not just one: the low fat optimum and the high fat optimum. “As there can be advantages and negative consequence to both higher carb consumption and long-term ketogenic states as well as higher protein consumption and protein restriction, only one sound solution to the “dissonance seems adequate to solve the puzzle. “Most natural phenomenons on earth happen in a cyclical fashion. Here are just a few examples: the hormonal cycles, the seasons, the water cycle, sleep cycles, circadian rhythm, menstrual cycles, lunar cycles, life and death, … These are just common examples, but if you look closely at a natural phenomenon, you’ll likely find that there is some sort of cycling happening. Oftentimes, this cycling is crucial for the well functioning of the system. Things would go haywire for example if it would rain 100% of the time or 0% of the time and this is why the water cycle is so important. “In terms of work and productivity, humans perform much better and are much happier when working on tasks in short and intense bursts than when working long consecutive hours on the same tasks. The same thing happens for resistance training. “The human body is always cycling between growth and repair modes. Muscle building is a perfect example of this growth and repair cycle where muscle is broken down to then be repaired and made stronger. We benefit greatly from constantly cycling through different macronutrient ratios and through periods of fasting and feasting. It also places the body in a constant guess work where it’s forced to stay sharp and prevent any waste. “Earlier in this article, we established that periods of higher protein consumption can be detrimental, but also beneficial in some cases. We also established that a ketosis state has many benefits, but can backfire if followed for a prolonged period of time, especially if the gluconeogenesis machinery is not working well and the brain becomes glucose deprived. The only reasonable solution in this case is through cycling between many macronutrient ratios to experience all the benefits without the pitfalls. “This is also true for periods of intermittent fasting and intermittent feasting. Intermittent fasting, either implemented as a concentrated feeding window in the day or as a complete fasting day once in a while, is well know for it’s benefits in prolonging lifespan, enhancing immunity and recycling junk proteins. A less popular concept though is intermittent feasting. In such periods, large amounts of fat and carbohydrates can be consumed and benefits are seen in the up-regulation of many hormones, especially hormones produced by the thyroid gland. In other words, feasting once in a while is a therapeutic way to tell the body that you aren’t starving, that there is an abundance of food and that all your metabolic systems can work on full speed. just speaking from EXPERIENCE, I find that low(er) carb eating, and only then getting my carbs from fruit and veg, has been a turnaround for me and my hypothyroid related insulin resistance. I was 15 years old, very thin and my brother, also very thin, seven years before, had been similarly diagnosed at the same age. I was prescribed Rastinon and given a very strict low carb diet to follow. I was issued with a booklet listing permissible foods, restricted foods and ABSOLUTELY FORBIDDEN foods plus a set of dietary scales on which to weight almost everything. I can remember to this day how horrified I was to read “No cakes, biscuits, pies, puddings, thickened soups, thickened sauces, confectionary, jams, honey. All else with the exception of certain leafy vegetables, meat, fish, eggs, butter, cream had to be weighed and served in very small portions. Even now I still have only two thirds of an ounce of bread toasted with my two boiled eggs for breakfast. – old habits die hard. As I remember, I was permitted a total of 150 grs or 15 ‘rations’ as they were called, including 3 rations for a daily pint of milk as I was a growing girl of 15. My grandmother, who was insulin dependent, also followed a similar diet. On high days and holidays when a Mars Bar found it’s way into the house, it was cut up into thin slices and we all had a slice. And it was a real treat and regarded as such, not a daily occurrence. To paraphrase Prince Hal in Henry IV part 1 – “when seldom come they wished-for come” but of course he was talking about holidays rather than confectionary. It seems that we knew what advice to give to diabetics about 100 years ago – when did the collective amnesia set in and who was responsible? The collective amnesia set in after Insulin was discovered and people had to start eating carbs to match the dose. Insulin stimulating drugs also meant a change in regime to eat to the dose to prevent hypos. What an interesting recipe book – and excellent for those of us trying to avoid wheat products. Thank you for the link. I have had type 1 diabetes for 40 years. I realised very early on that if I stuck to a low carb diet I not only felt really well but also had plenty of energy which I needed, having 3 very active children. Not only have I felt well but also have no signs of diabetic complications.I have been told many times by ‘so called’ diabetes specialists that my regime is doing me a lot of harm even though they can see that after 40 years of type 1 diabetes I do not have any complications. I just don’t get it.!!! Diabetes UK are a disgrace. They are not truly concerned about the well being of Diabetics. They are more interested in lining their own pockets from their sponsoship/commercial deals with the paharmaceutical companies. I’m sure there are plenty of peropl at the organisation who do care but as charity who should lead the field, they fail miserably. Ive been a type one for 25 years and the 4 best things i did for my diabetes are, adopt a diet based around paleo/primal lifestyle. Take up regular resistance training. Read the diabetes Solution by Dr Bernstein (i dont follow it but it taught me a lot). Stop listening to diabetes charities and official NHS recommendations. Once i’d taken up the diet (which i no longer consider a ‘diet’, it’s just the way i eat without having to give ait a second thought) and started the resistance training I cut my insulin requirements by about 50%. Looking at that from Diabetes UK persepctive they could never put their full weight behind recommending the low carb approach. Imagine the majority of diabetics cutting their insulin/tablets requirements in half? What would that do to their sponsors profits? For me Diabetes UK is worse than useless, it’s cynical in the extreme as it knows what it advises kills diabetics in the long term. I’ll also add that i see my NHS diabetes specilaist once every six months and the 20 minute meeting is spent between him telling me to lessen my insulin as my blood sugar avaege is too low, even though he agress i dont really have any hypos according to readings, and trying to make me take a statin even though he agress cholesterol isnt the major contributor to heart diesease but statins ‘just work’. And his self congratularty tone that my well controlled (albeit too low blood sugar) is all down to the knowlegde he bestows. Sigh. To finish my rant my Dad recently got told he was pre diabetic and thakfully i was at my mum and dads for the weekend. I tested my dad and hour after he ate a baked potato and his readin was high. I tested an hour later, still high. I tested ny mum who ate the same, her’s was fine. I prescribed a low carb, wheat free diet. He went back to the dcotors oiice a wee later for the glucose drink test. Readings all clear. He’s now stuck to the diet, not only stuck to it but he’s now thriving on it. He has energy, he doesnt feel lethargic, he’s losing weight, he’s sleeping better. He’s been at 3 months now and it’s just comfotable for him. This stuff isnt voodoo, it’s what your body wants. It wants to eat relatively clean and move about. Poor grammar down to being at work and angry typing!! I feel like you are lumping Type 1 Diabetics in with Type 2 Diabetics in articles like these. I am Type 1 and developed it at 47 years of age, when I was still quite slim. A low carb diet doesn’t cure me, but it does help me to take less insulin. But obesity and diet isn’t what causes Type 1. Officially, according to the ADA, it is genetics and unknown causes. I believe the unknown causes are perhaps the level of environmental toxins and then sometimes a virus is the camel that broke the camel’s back – like in my case. Please unlump us! In the US here, yes the diet prescribed to diabetics here is abysmal at best. I was a good little patient and followed the ADA diet and gained weight so fast it was frightening. The Dr kept increasing my meds, adding new ones and chastising me for not following the diet! I finally did some personal research, found Jenny Ruel’s website and started my great diet experiment. I went VLCHF and within two weeks had to stop the glipazide because it was causing hypos. Then I started reducing the metformin, and finally just stopped it altogether. I have been med free for 1 1/2 years, and have lost 50 pounds. I now keep my carbs down to around 50g daily most of it from veggies, some from berries and nuts/seeds. My Dr is skeptical that I can continue “such a restrictive diet” so still wants to test me twice a year. I have seen others following the accepted paradigm die, from heart failure, kidney failure and stroke, and it infuriates me! A person I know was just informing us that she was diagnosed with diabetes, she is to eat low fat and salt. And to help with her fasting blood sugars she is to eat a slice of toast with just a tiny bit of peanut butter, right before bedtime. I told her that I follow a low carb diet and that brought my fasting BG down, she was horrified and said that her “team” warned her not to go low carb as that is the most dangerous diet out there! This was just 3 days ago. I don’t think the advise will ever change, because then the guilty parties will have to acknowledge their crime. Wouldn’t recommending that those who can’t process carbohydrate properly should eat ‘plenty of starchy carbs’ be a bit like recommending that those who can’t process alcohol should drink plenty of alcohol, or those who can’t process gluten should eat lots of wheat? Why would a rapid life-threatening ‘allergy’ to fish, or peanuts be taken deadly seriously, yet a slow insidious but still very life-threatening ‘allergy’ to carbohydrates be treated as if it’s a joke? Those who suffer with life-threatening allergies carry adrenaline as an antidote, those who suffer with diabetes carry insulin or Metformin et al as an antidote. Would those who are allergic to fish or peanuts be recommended to eat it because it’s ok, the antidote will deal with the problem? For some unfathomable reason, the dots just aren’t being joined…. I was re-reading Diabetes UK guidelines yesterday and i’m appalled by what they say about type 1′s. Bearing in mind that following their guidelines (including carb counting and matching insulin doses) most of my diabetic life enabled me to suffer many of the complications of diabetes. Since going low carb I’ve reduced my A1c, reduced my insulin requirements, stopped the huge swing between lows and highs and hypo less frequently. I feel their advice is unethical, immoral and irresponsible, to say the least! If a person with Type 1 diabetes is of normal weight (ie they do not wish to lose any weight and their blood glucose levels are well controlled), they do not need to reduce their carbohydrate intake. Intervention studies have failed to show any significant effect on glycaemic control of manipulating carbohydrates (3, 4, 5). On a meal-by-meal basis, matching insulin to the amount of carbohydrate consumed is an effective strategy in improving glycaemic control. Randomised controlled trials have shown that carbohydrate counting can improve glycaemic control, quality of life and general well being (6,7,8,9) without increases in severe hypoglycaemic events, body weight or blood lipids (10, 11). Therefore, a person with diabetes can follow the same balanced diet as anyone else. It’s a real bad break when when type one diabetics get lumped into the same category of those fat and lazy slobs called type two diabetics. Everyone knows type two’s brought it on themselves, it was in the Daily Mail so it must be true. Four generations of type two in my family, so genetics played a part I reckon. Also, I was slim all my life until a year or so of type two diagnosis. I know slim type two’s who have never been overweight. Statins and other drugs have now been linked to causing type two diabetes. It’s bad enough with type two diabetics having to put up with dross from the media, so often type one diabetics are quick to join in and point fingers. Most type ones know nothing about type two diabetes, in fact, according to NHS stats, 93% of type one diabetics never get to a safe HbA1c in the UK. So, let all diabetics stick together, we have enough grief to put up with, especially with the likes of DUK and the NHS trying to kill us all off. Year in and year out, the depressing NHS published audits, confirm no progress is being made, in the grim outcomes for many diabetics. So many diabetics never get to a safe HbA1c. There will be no improvement, until dietary recommendations from the NHS and DUK, are drastically changed, and diabetics are told to not base meals on starchy carbohydrates. The great tragedy, is the fact when checking diabetes forums and blogs, many find it comparatively easy, to get to safe blood glucose levels by changing diet and lifestyle. Drop the carbs, drop the HbA1c. Meanwhile the carnage continues. That’s achieved by ‘eating to my meter’ using a meter and strips I have to buy myself as my NHS doctor won’t prescribe them for me because of budgetary restrictions and stupid NICE guidelines which don’t even proper support for meter use and push the stupid Eat well plate on us as they’re obsessed with low-fat and starchy complex carbs and whole grains. Whilst I do believe the Western diet is a big factor in the huge and rapidly growing diabetes epidemic, I also feel there is something more insidious going on. Time was our ancestors were very parasite-aware. It wasn’t at all unusual for our great grandmothers to give their families a regular ‘dose of the (Epsom) salts’ or Castor oil to clear out any unwanted squatters. An elderly friend recalls his mother boiling up a big pan of senna tea every Sunday for the family. They weren’t stupid. But we are. We think nothing of ‘de-worming’ our pets or livestock, yet never ourselves. We recognise the damage they can do to our animals, but are we somehow immune? Parasites can do a lot of damage to us too. The more established they are, the harder they are to eradicate. They can disrupt digestion, neutralise enzymes, generate their own enzymes and hormones, and yes, prevent sugar metabolism. What we can’t digest, they can. Whilst some will only ever live in the gut grabbing what they can, others live in the duodenum, neutralising digestive enzymes for their own ends (ever wondered why a gastric bypass can often reverse diabetes?). Still others live in the liver and/or pancreas. Others, like for instance Ascaris (which the Romans named the Wandering worm) can migrate from the gut and take up residence anywhere in the body they choose. I read of at least one woman whose diabetes reversed when she got rid of the parasites in her pancreas. Whilst they are usually hard to detect (and most stool tests are pretty useless unless they are sent to a lab that specialises in parasites), for some reason, mine became very obvious in recent months. I had suspected I might have them a few years back, but recently their activity has become such that it was hard to miss. Slithering, flipping, flopping, wriggling and biting are not normal bodily events! They are all around my body, but especially in my left side, upper back, shoulders and back waist area. I feel them in many other places too. The Ascaris larva are small enough to move around the body quite easily. I am working with a TCM doctor to give my body the tools to eliminate them. It will be interesting to see what happens with my diabetes when they finally pack their bags…. PS. There are lots of indications of parasites. Common symptoms, especially of disseminated parasites may include a regularly itchy nose, dark shadows under the eyes, anxiety, nail-biting, insomnia (they are usually more active at night – and around full moon), an itchy scalp, especially at night, digestive issues, pain in the back, especially between the shoulder-blades, weight gain or weight loss (depending on what, and where the parasites are), hard to shift weight, crawly feelings and something that is getting more prevalent, a large distended gut or belly in proportion to a relatively slim body. On the current front page of that website alone, carbs and yet more yet more carbs. Good. The key is a suitable microbiome (which requires prebiotics in quantity which, for most people, means starchy foods as well as certain fruits) … as well as gut-lining integrity—but I repeat myself. Ten years or so ago, a friend of mine was diagnosed with T2 diabetes. I went to supper at her place and saw she was eating baked potatoes. At that time I had become interested in the glycaemic index of foods that was starting to make its way into the public arena, so I wrote to Diabetes UK to ask them why my friend had been recommended (via their website) a diet fairly high in carbohydrates of a high GI. They replied that the research was still in its infancy so for the time being they weren’t incorporating it in their dietary advice. Fast forward to today, finally they talk about GI of foods, but still advise relatively high intake of carbs but do mention the ‘lower’ GI versions of rice, bread etc. But….. If they ever were to ‘get’ the message that lower carb diets might actually help diabetics control their blood sugar and reduce or eliminate the need for medication, it’s likely to be a long way off. I used to work in a paediatric diabetic department and witness parents calling in telling the nurses that their child had been a bit unwell for some reason and ‘all they would drink was Coke’ and a biscuit. None of the nurses ever suggested that perhaps the child might do better avoiding certain foods as they could ‘compensate’ with medications. When I ever brought up the topic of low-carb diets I was met with a look of horror from the dieticians who kept telling me that people need lots of carbohydrates for their brains to work properly and to provide ‘energy’. I don’t know if perhaps this is actually true for children, but now I work in a secondary school where the kids live on fizzy, sugary drinks (even energy drinks that aren’t meant to be consumed by those under 16) and the lunch options consist mainly of pasta, baguette, ciabatta, pizza, baked potato…..or a salad option that nobody other the the staff opt for. The children are always lethargic, yawning and struggling to keep focused, especially in the afternoon – except for the ADHD ones who get even more hyped up with the fizzy drinks they bring into school. The head doesn’t seem to consider this a problem – but I can see that it impacts on their day to day behaviour and attentiveness…..and no doubt will lead to even more adult diabetics in the future. Aaaargh!!!! I am a D and have been for four years at first I got a test at the local chemist shop and I was 12.4 they told me to go to my doc and if I didn’t get seen right away to come back and they would call them. I did get an appointment and saw a nurse she took blood and told me to make another appointment with the doc, no advice given at all. when I went back to the doc after a week of waiting and worrying not a lot happened he just said to watch what I ate and I was sent to a meeting to tell me what to eat looking back it was a joke. All this time I was given nothing no meds nothing and was seen once a year and told if I feel unwell to come back. I went on the internet and found a great site that has helped me thru the last four years certainly not my doc. I am on a high fat minimum protein low carb and I am in what is called keto (a fat burner) unfortunately I have nerve damage to my body in my feet and legs the discomfort is just awful, it comes and goes and no one cares. I have been back to the doc but there thoughts are anything up to 10 is okay can you believe that I pay for supplements ALA-R I sent to US for it as it is cheaper than I can buy it here even with the postage I think I should be on meds but they would not consider me for them as I am too low my fasting blood was 5.7 this morning when I got up at 6.30 I hadn’t eaten since 5.00pm the day before. I don’t think that’s right I think my pancreas needs a little help but they say no what am i to do I know what my fate will be it killed my mum i can live with D but the feet and legs are the worst. My last finger prick was 5.3 one hour fifteen minutes after I got up having a cup of black tea 300mg of ALA-R and evening primrose oil 1000mg so you tell me does my pancreas need help. Oh and I was told if you don’t medicate you don’t need to test I kicked up such a fuss the nurse gave me a meter. Our PM said as D was such an epidemic that everyone with D should have all the help they need to manage there illness that statement has fallen on deaf ears I feel let down big style. Rona, I have nerve damage, from a different cause, I take Gabapentin for it. I don’t know if they use that where you are or not, but could you enquire about something for neuropathy? That is precisely what I did when first diagnosed. The Doctor told me not to test “It will only give you a sore finger – just watch what you eat”. I soon realised the diet was far from correct and after reading up on the matter I decided to go low carb’. I’ve maintained decent BG levels ever since. I am a have not lost quite as much weight as I would have liked but enjoy eating the foods I would have chosen anyway! I was always tempted by the fat on meat and also craved lashings of butter. It was only when, on the advice of doctors, I adopted a “Healthy” diet loaded with wholegrain crap and low fat spreads that my health went downhill and subsequently became diabetic. I am now 72, feel great, and my A1c ranges between 5.2 & 6.2. I owe a lot to the “Mavericks” like the late Barry Groves, Dr Briffa and others, not least of these is that old warrior Eddie Mitchell who posted above. – This blog contains come good advice but that is undermined by not pointing out that this line of argument mainly concerns Type II not Type I diabetics. – I am Type I and eat loads of carbs because bread, potatoes, pasta and rice are lovely. Apart from a few years when I went mental with the spreadsheets, my hb1ac is always between 7 and 8.5 with maybe one hypo per month (Carb counting for the win as the kids say). – If you gave me a choice of Type I or II I would pick Type I every time as I can eat pretty much anything I like and good control is significantly easier. – To be fair to Diabetics UK they are simply repeating the accepted science about waht constitutes a healthy diet. You can argue — and certainly Lustig would — that this science is increasingly looking wrong but a charity cannot really go against the accepted science. – If I had Type II I would eat less carbs simply because it (presumably) makes good control much easier. And what we do know from the science is that good control massively reduces you risk of complications. Hi David. But we know from DAFNE and the other big cohort trial that I can never remember the name of, that the benefits of reducing hba1c below 7 in terms of decreasing complications risk is more than offset by the increased occurrence of hypos. I could almost certainly get mine below 7 by being more aggressive with correction dosing overnight but I’d rather wake up around 8.0/9.0 (UK numbers) and have virtually no hypos and the science says it’s more or less pointless. The science says the opposite. For every percentage point drop in A1C blood test results (from 8.0 percent to 7.0 percent, for example), the risk of diabetic eye, nerve, and kidney disease is reduced by 40 percent. Lowering blood sugar reduces these microvascular complications in both type 1 and type 2 diabetes. Intensive blood sugar control in people with type 1 diabetes (average A1C of 7.4%) reduces the risk of any CVD event by 42 percent and the risk of heart attack, stroke, or death from CVD by 57 percent. Source: DCCT/EDIC, reported in December 22, 2005, issue of the New England Journal of Medicine. Those HbA1c numbers almost guarantee serious diabetic complications in the long term. Is the bread, spuds,pasta and rice really worth the grief ? Basing meals on the aforementioned foods make good blood glucose control almost impossible. HbA1c 7 – 8.5 is way above the levels serious organ damage occurs. Except the science says that’s just not true and hba1 below about 7 to 7.5 has no long term advantage in type I diabetics. If you go and read the science you can even get good numbers of the amount of risk reduction for each of the common complications that a consistent 7.5 gives you. Generally speaking people eat too much carbohydrate (see Lustig lectures on liver biochemistry and related science) and the food pyramid balanced diet thing which is looking increasingly shaky but that is good advice for anyone and not much to do with T1D. The best advice about diet is still “Eat food. Not too much. Mostly plants (of different colours)”. The amount of misinformation in these comments is staggering and dangerous for the long term health of diabetics both T1 or T2. The quote that I’d rather be a “T1 because I can eat more carbs than a T2 ” and a H1AC of between 6.5 to 8.5 is good control becsuse science has proven anything less is a waste of time are so misinformed it is sad and dangerous. I thought the US medical system was screwed up and all about treatment instead of patient out comes. But if these comments are any indication of how affective the £10 billion that NHS is spending a year on diabetes care and education god help you all. I could refute many of these misinformed claims one by one but it would fall on deaf ears. Watch the following video of a MD and how he dealt with his LADA T1. I think you are misrepresenting my views somewhat, or maybe I didn’t express them so well. My point about preferring to be a T1 than a T2 is that I do not feel constrained in my food choices as a T1 in the way I would feel constrained if I were a T2. I do agree that we should eat less carbs than the classic “food pyramid” advice, am fully on board with all the sugar vs fat arguments and so on. But I think this is just good general advice to everyone as regards a healthy diet rather than something very specific to diabetics. My hb1ac averages about 7.5 and has done for about the last 7 years. My lipids are good, my weight is fine, blood pressure very good, i very rarely have hypos, etc. The best science currently says this is good. Future science may of course say different but right now the this is the best we have. As regards Stapleton, his results are impressive but we don’t know how effective this is in the general population, how sustainable it is in the long run or if he is fixing his risk of diabetic complications but exposing himself to other risks from his radical diet. What good is his lowered risk of neuropathy if he has a massive heart attack in 10 years? Is it worth doing more large cohort studies to look at the long term health effects of low carb, high fat diets? Probably. Would you change that diet based on anecdotal reports and short term oucomes? I am not so sure. And I repeat. Best diet advice is “Eat food. Not too much. Mostly plants”. 5.0–5.4 is the lowest mortality, the lowest point in the U-shaped curve. As a post script to the above and to what has been ‘scientifically proven’ highly recommend reading Jenny Ruhls research and summaries of scientific diabetes news. I’d start here where she reviews much of the current research of what blood glucose numbers are needed to protect against diabetic neuropathies and beta cell eyelet destruction. As you say a very sobering read. The last thing so many diabetics want to know is the truth. The best HbA1c for a diabetic is between 4.5 and 5.5, many achieve this, I personally know many, and all are low carbers, type 1 and 2. Starchy foods can be bad for diabetics or prediabetics: because starchy foods (mainly wheat products) act like addictive components, like for instance smoking. When I eat bread, pasta (often pasta with bread!) etc., I realize that I systematically forget to add (and buy)… green vegetables, raw vegetables and fruits with the exception of course of… bananas in my diet! Yummy wheat, bewitching warm breads, so odoriferous, unctuous pasta, viennoiserie… Wheat is everywhere: no this is not fundamentally a bad food, but it is awfully addictive. I realize that I am not addictive to other starchy foods as rye, barley, legumes, no, but to wheat O yes! I am diabetic and take oral anti diabetic drugs. But If I eat a quarter of bagel or a lot of spaghetti (never “a little bit of…”), and then check my post prandial glucose (PPG), I still see an abnormal huge spike of glycemia even after 3 hours! My wife who is not diabetic sees her PPG back to normal after 2 hours. So starchy foods are not bad foods per se, but for diabetics or glucose intolerance, they are toxic. A world without wheat is possible as a world without nicotine. But we are in democracy, folks are free to eat what they want. Don’t forget the word “pleasure”… Orthorexia can wait, after all. And insulin therapy is not only for diabetic type 1. HbA1c is an interesting metric indeed – and thinking that 7 or 8 is ok, well that’s a shocking fallacy as many recent posters have highlighted. Slide 87 of the following pack shows some of the stats, but slide 61-88 should be perused by anyone wanting to live a longer, and more productive life. Also, these metrics are generally resulting from studies focusing on general populations – diabetics though should pay even more attention. As someone mentioned, the stats are not for light-hearted reading….but slides 88 onwards should at least provide some of the remedy! Are we not missing a trick here ??? Anyone who has an Hba1c once or twice a year has their numbers recorded on the NHS data base. The sad part of it is they don’t record what nutrition plan you follow so the assumption is that you are doing the healthy plate unless your numbers are rising then its your fault. At my most recent last year my spec nurse was very amiable when I told her my approach she smiled and simply said well it obviously works for you. Of course it does !!!! Diagnosed 2000, followed the advice and weight and numbers blossomed so the meds were sent in. Twice I got to 20 stone the 2nd time I was faced with insulin therapy. By chance I found out about LC and gave it a go for 3 months. I kept a record of my numbers, weight and blood pressure. I lost 2 stone so eased off and within 2 months it was going back on. So I got back on the treadmill for 6 months. 4 stone off and numbers on track. I took all my records at the next checkup. The GP was impressed with the weight-loss but didn’t want to know anything else. So from that moment I didn’t tell him. However my improved numbers are a matter of record on the NHS data base. The advice the NHS gives to diabetics is truly shocking – but it wasn’t always the case. My father was diagnosed with diabetes in 1960 – the year of my birth (they say shock can bring it on! ).Not too surprising as his father had it plus other relatives on that side of the family. However the advice given to him then was to eat a low carb diet. It was pretty restrictive (I can’t remember the amounts) , however he lived to the age of 89 (so almost 50 years after diagnosis)and died following a fall where he hit his head(so no connection with diabetes). He only ever controlled his diabetes by following this low carb diet. In more recent years doctors would often advise him that he could eat pasta etc but he knew and so did my mother that this carb rich diet would be lethal. My two sisters both developed diabetes in their 40s but have stuck to a low carb diet despite being advised to the contrary. Leave a Reply to David Bell Click here to cancel reply.